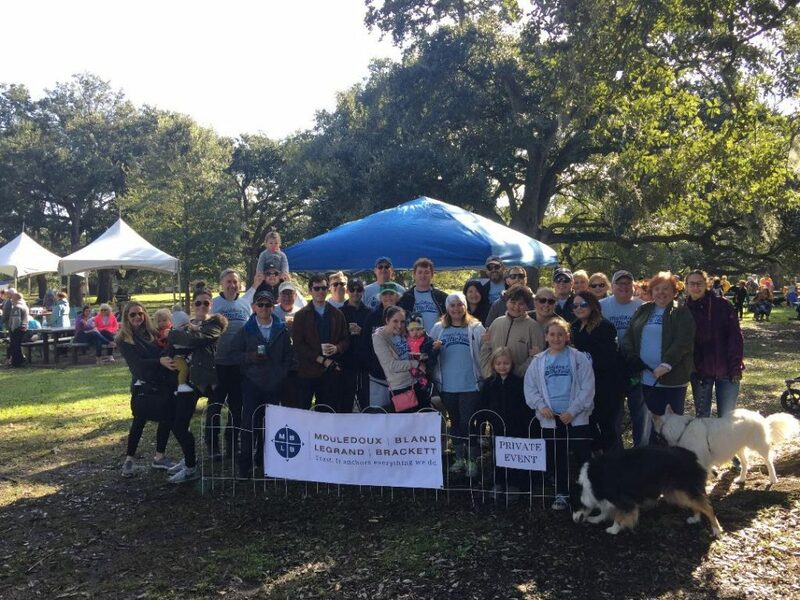 Mouledoux, Bland, Legrand & Brackett’s walk team, Marching 4 McFaull, joined the Juvenile Diabetes Research Foundation (JDRF) for their One Walk on November 10, 2018. Four years ago, MBLB started participating in the One Walk, a fundraiser for JDRF, as a tribute to our colleague, Jordan McFaull, who passed away from Type 1 Diabetes in 2015. This year was the best turnout yet. As of this writing, Marching 4 McFaull is holding the number one fundraising spot for the New Orleans teams that participated in the walk, raising more than $11,200 for a worthy cause that is very special to our firm. This year, MBLB formally adopted JDRF as the firm’s philanthropic charity. Jordan, who was a graduate of Tulane University and Loyola University College of Law, was an industrious and resourceful attorney and a cheerful addition to our firm. He is missed by everyone with whom he worked. Marching 4 McFaull walks to help JDRF continue to fund life-changing type 1 diabetes (T1D) research and create a world without T1D. MBLB matches the funds raised by our 20-member team. JDRF funds research that transforms the lives of people with type 1 diabetes (T1D). JDRF’s goal is to find a cure, along the way driving scientific progress that delivers new treatments and therapies that make day-to-day life with T1D easier, safer and healthier. JDRF supports the best researchers doing the most promising, cutting-edge science to cure, prevent and treat T1D.